Squisito Pizza & Pasta in Ashburn, VA has opened its doors to the public. (RestaurantNews.com) There’s a new Squisito in town! 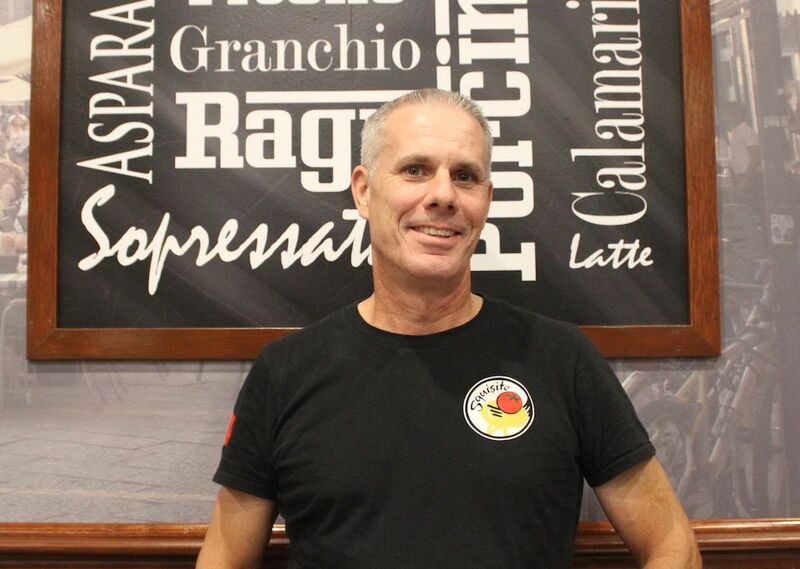 Keith Baker, who has been talking about owning his own Italian restaurant for years, has fulfilled his dream. Squisito Pizza & Pasta makes the perfect addition to the Loudoun County community. Squisito Pizza & Pasta is a full service dining experience in a fast casual setting, where the guest places their order at the counter from an extensive menu. The brand is an authentic Italian restaurant serving neighborhoods around Maryland and Virginia. Squisito Franchise Enterprises, Inc. is the principle franchisor and has been franchising for over 6 years. This new location in Ashburn, VA marks the 3rd franchised location and Baker is one of five franchisees. Keith Baker first visited a Squisito Pizza & Pasta in Annapolis, MD 5 years ago. He couldn’t get enough of the food and was thrilled to hear the brand was franchising and he would be able to open his very own Squisito. Now that dream has become a reality and Squisito Ashburn is open to the public. “I’ve been in the restaurant business since I was thirteen. I started working as a dish washer and worked my way up to making pizzas, pastas, salads and subs. I love the business and have always wanted to own my own restaurant. When I was researching franchise opportunities, Squisito popped up and I thought, wow I could actually do a franchise with these people because it’s homemade food with homemade recipes, fresh ingredients and everything is made in house. When I talked to Gennaro and Michele I realized I also had the opportunity to be creative with the restaurant. Everything combined is what made me really excited about opening my own Squisito!” said Baker on his adventure with the brand. “We are so excited to have Keith Baker join the Squisito family. His passion for detail and quality, love for Italian food, especially his excellent pizza making skills, and his outgoing friendly personality is a win, win, win combination. It’s been a long time coming for him and a life long dream to own his very own Italian restaurant and personally we couldn’t be happier. He’s the perfect fit for our concept!” said Michele DiMeo, President of Squisito Franchise Enterprises, Inc.
Each Squisito Pizza & Pasta location embodies the same core values- delicious, fresh, traditional Italian food, incredible customer service and a dedication to give back to the community. Squisito Ashburn follows these same principles through “Squisito Nights”, good grades programs, donations, sponsorships and fundraisers. There are endless possibilities for the community to be supported by this brand new Squisito. For more information about community involvement with Squisito head to http://www.squisitopizzaandpasta.com/community.html. Squisito Pizza & Pasta was born into an authentic Italian family and stands apart from the rest of the competition with traditional, family recipes. From proprietary sauces and fresh vegetables to hand tossed, award-winning pizza, the quality of ingredients and dishes at Squisito Pizza & Pasta represent the highest level of quality. Offering a diverse menu featuring traditional and artisan pizzas, hot entrees, Italian sub sandwiches, pasta dishes and calzones, Squisito Pizza & Pasta offers something for everyone. Squisito Ashburn will be holding a formal grand opening celebration and ribbon cutting with the Loudoun County Chamber of Commerce in the near future. Hours of operation are Sun-Thurs 11am-10pm and Fri/Sat 11am-11pm. We are located in the Ashburn Village Shopping Center at 44050 Ashburn Shopping Center, Suite 147 Ashburn, VA 20147. Squisito® Franchise Enterprises, Inc., based in Maryland, is the principle franchisor of the Squisito Pizza & Pasta and Meatballs, Etc. franchise opportunities. The Italian word “Squisito,” translated into English as “exquisite,” is a guiding principle applied to all facets of the Squisito franchise dining experience. Squisito Franchise Enterprises, Inc. combines delicious cuisine, fresh ingredients, fast casual ordering systems and an open-style kitchen in order to allow guests to experience the Italian traditions first hand. Squisito Franchise Enterprises, Inc.’s new franchise concept, Meatballs, Etc., is a create-your-own dining experience in a fast casual restaurant. Guests have the opportunity to be their own chef by customizing their entrée. They can begin with everyone’s favorite staple the famous “Italian meatball”, and from there add fresh ingredients, sauces and toppings.